Bio: Multifandom vidder (TV, movies, AU or original series). I've been vidding since August 2005, and lately reached my 200th vid. The LOST muse seems to slowly come back. Lost: Kate mourns the loss of her first love Tom who died because of her and she just cant forgive herself. 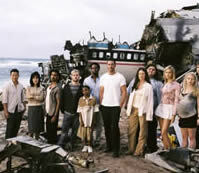 Lost: Sayid is Shannon s touchstone on the island. Season 1 centric.